Brooklyn Nets forward Thaddeus Young makes Ersan Ilyasova pay for the chase down block attempt with a poster sized dunk. 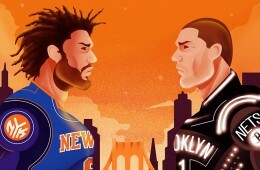 Artist Davide Barco from Milano, Italy was commissioned by the New York Times to created this illustration of twin brothers Brooke Lopez and Robin Lopez. Mikhail Prokhorov and Brooklyn Nets owner wanted to spend some quality time with his team. So he dropped by for a practice. Adding another layer of goodness to the already solid MyPLAYER mode. 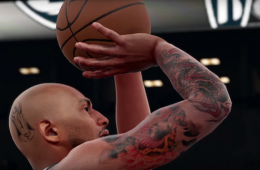 NBA 2K16 is introducing over 1,500 tattoo designs. The Top 20 dunks from the legendary Darryl Dawkins aka Chocolate Thunder, the man from Planet Lovetron. RIP. Designer Derrick Lee created this mock re-branding of the Brooklyn Nets, by adding a few subtle touches to the current and still very new branding concept. One of the best things about Jay Z having an ownership stake in the Brooklyn Nets, was Beyonce sitting courtside at multiple games. 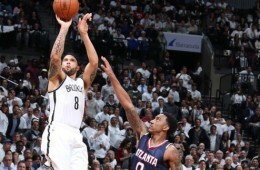 Deron Williams turned back time and exploded on the Hawks for 35 points and seven assists in Game 4, to pull the Brooklyn Nets even with Atlanta. 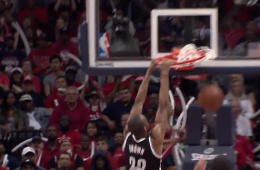 Markel Brown cleans up the Joe Johnson miss with authority. 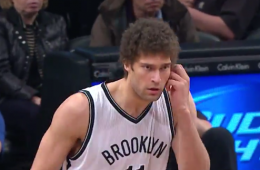 Finally healthy, Brook Lopez got the best of his twin brother in a 106-96 Brooklyn Nets win. Posting 32 points and 9 rebounds. In a triple overtime battle in Brooklyn between the Nets and Bucks. 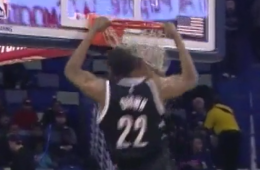 Many sick highlights were had like this monster Brook Lopez dunk on Ersan Ilyasova. 18 Years ago today, the world lost rapper The Notorious B.I.G. 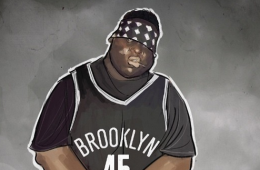 aka Biggie, but even today his spirit lives on in music, art, culture and basketball. 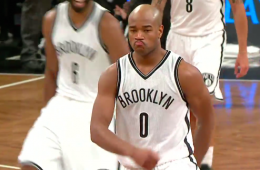 Jarrett Jack nailed a jumper over his ex-teammate Stephen Curry to put the Brooklyn Nets ahead for good, with just 1.1 left on the clock. 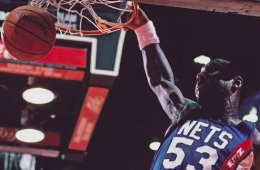 Brooklyn's guard Markel Brown slapped some Tiger Balm on the Nets versus Pelicans match up early, with an in-game 360 dunk for the kids.